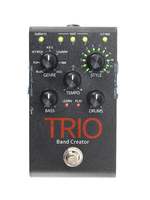 Trio Band Creator, Other Guitar Effect from DigiTech. DigiTech will unveil tomorrow at NAMM a new effect pedal that generates bass and drum parts based on what you play on the guitar. 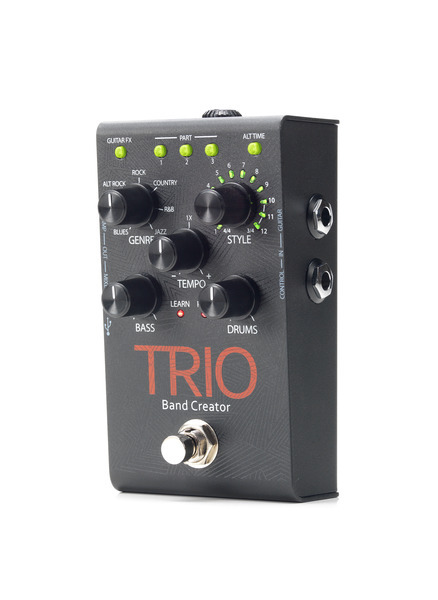 The DigiTech Trio is ideal for singers/guitarists who play solo and need a rhythmic section to accompany themselves. 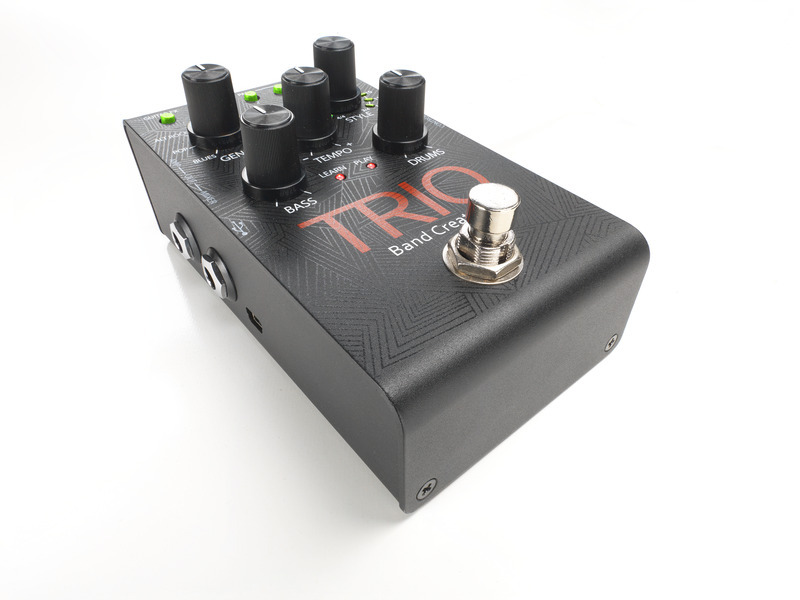 The Trio features a footswitch that you’ll press so that the pedal can “learn” the chords and rhythm played on the guitar ; it can learn up to three different parts in a song. You can choose between 7 music genres: blues, pop, alternative rock, rock, country, R&B and jazz, and each genre features up to 12 song styles that can be played in 4/4 or 3/4. You can also adjust the tempo, bass and drum levels. Connexion on the Trio include headphone with level, amp and mixer outputs, and an input for the optional DigiTech FS3X footswitch, with which you’ll select parts and styles. The power supply is provided. 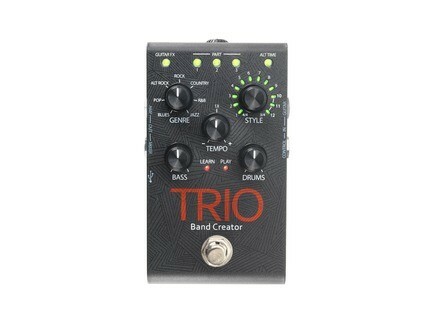 Discover the DigiTech Trio at digitech.com. [NAMM] Diamond and Soldano created an amp American Diamond Amplification and Michael Soldano have partnered to design the new 327SD 100W all-tube guitar amp head. [NAMM] The Keeley Compressor Pro is confirmed One year after its presentation, Robert Keeley’s Compressor Pro pedal is finally available for pre-order with a special offer for NAMM. 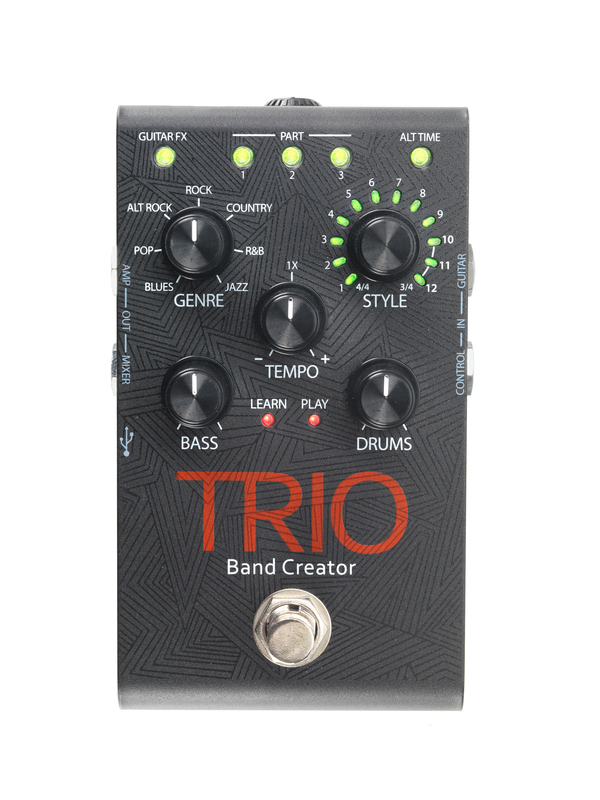 [NAMM] 2 new TC Electronic TonePrint pedals The TC Electronic TonePrint family will welcome this Spring the new Viscous Vibe and Helix Phaser stompboxes.